Which Web development platform is suitable for your business? | iMOBDEV Technology Pvt. Ltd. It happens that sometimes non-technical people get confused after acknowledging a huge number of platforms available for website development. Go through the blog & make your mind clear for which platform will work best for your needs. Plenty of web development platforms are creating a great confusion among the business professionals who are lacking the knowledge about which one platform is appropriate to their specific needs. Each platform has its own benefits and lacking points for what it is recognized. Development companies always hold the talented geeks who are masters in their own technical field & can utilize them to shape up the best websites. 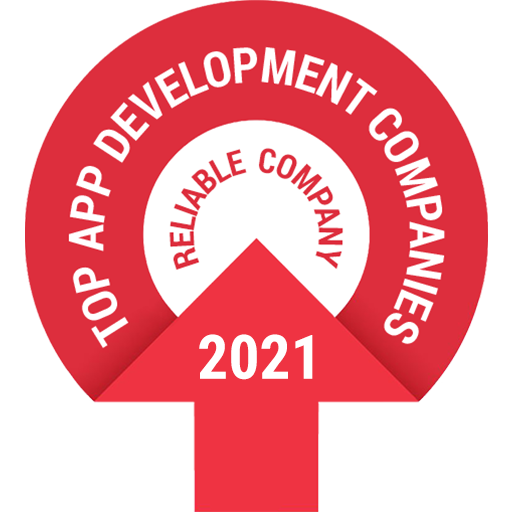 The question harassing the professionals is, which development platform is perfect to build their business app. Each platform has its own features that may work smartly for the specific features. Here is a separate introduction of all development platforms will go well with the specific business type or industry vertical. Magento is an enterprise edition available for small and large business websites. For engaging shopping experience, it works really nice. Powerful business tools to construct the bold & unique eCommerce website are offered. Business Sector: For any wholesaler, retailer, vendor, shopkeeper, merchant, dealer of any sort of products which can be sold online. The community version is available for free. For the enterprise version, multiple plans are there starting from $15,000 per annum. Any Magento website development company India can do it for you. Cross-selling, Up-selling, product comparisons, discounts, etc. Basically, it’s a WordPress plugin introduced in the year 2011. Appropriate platform specifically for the eCommerce business with less than 1000 products. If you are familiar with the WordPress CMS & have a limited budget, then choosing this development platform will be a wise decision. Business Sector: Perfect for small to large scale business websites. Choose WooCommerce if your business needs budgetary & quick solutions. It’s easy to manage the small eShop & shopping carts. Not preferable for the widespread businesses with too many products to sell as the advanced integration capabilities and API extensions are limited. World’s most popular CMS is used for offering various services relevant to the web development. An ideal platform to develop a simple website. For the beginners, this is the most preferred CMS. Business Sector: It is a flexible platform to build blog or personal website, business website, eCommerce portal, Job board, Business directory, Question & Answer website, Portfolio websites, Online communities, Coupon website, Auction website, Private blog, School or Colleges websites, Photography Websites, Affiliate websites, Podcasting websites, Knowledge / Wiki websites, etc. Hire WordPress developers from reputed web development company India to shape up a superlative website. The comprehensive CMS allows the developers to build the web applications with a specific programming environment. Any Drupal website development company prefers this Open-source CMS for building the large websites. Business Sector: Exemplary platform to construct the File storage sites, Social Networking Sites, Twitter Clone, News Portals, Blog Network, Video-Sharing Website, Image-Sharing website, Digg-like news Site, etc. If your purpose to build a website is any of the above mentioned options, then Drupal is the best choice. This platform is utilized worldwide to power up the small sites to large scale websites by the Joomla website development company. The developer can configure it in his own way to craft any sort of website. Easy to install Joomla package means it is flexible to use for the newbies as well. Business Sector: Smoothly create a blog website, Hobby website, website for a school, church or a club, online commerce, Government portals, Corporate intranets & extranets, Small business websites, Magazines & newspaper, Community-based portals, etc. The advance and powerful CMS is preferred by the experienced programmers. This is not an option for the professionals who have a low budget for web development. For building the comprehensive websites with classic functionalities, Typo3 is the best suitable platform. Business Sector: eCommerce website with exclusive trendy features, Complicated business websites, Large news website, etc. Online store management system which uses MySQL Database & HTML components. User-friendly shopping cart system is developed considering the in-detail requirements of merchants & shoppers. Business Sector: Good fit for any sort of online shopping business. Develop online store to sell the products online with ease interaction & user-friendly behavior. Not appropriate to build the informative or blog type website. But, any industry, individual, dealer or shopper selling their multiple items can prefer this. A highly flexible and open source content management system can be utilized to build easy to manage web portals. Any individual, professional or company looking for the website development services can select this platform. Business Sector: Flexible to build almost all types of websites. Easy to integrate modules such as Announcements, Banners, Blogs, Documents, News, Links, and much more. And highly recommended for the websites requiring high security. Concluding Note: Above mentioned are the top most platforms utilized by the developers for web development. There is no mention of many other CMS & platforms which can also be preferred. But, these are the platforms among which you will surely find the suitable one for your web development requirements. According to my opinion nowadays websites are more important for starting any business. It will helpful attracting the clients and customer engagement fruitfully. most of the websites are designed through wordpress only. As website is very attractive it will helpful for the app development companies to increase the level of growth to top level. The points that you have mentioned in your blog is really best and it denotes perfect blog for web designing companies who are developing and design the websites. wordpress only designed that most of the websites. here shared that information is very helpful to the people. thanks for sharing this type of article to all. hope that will see your new article like this.